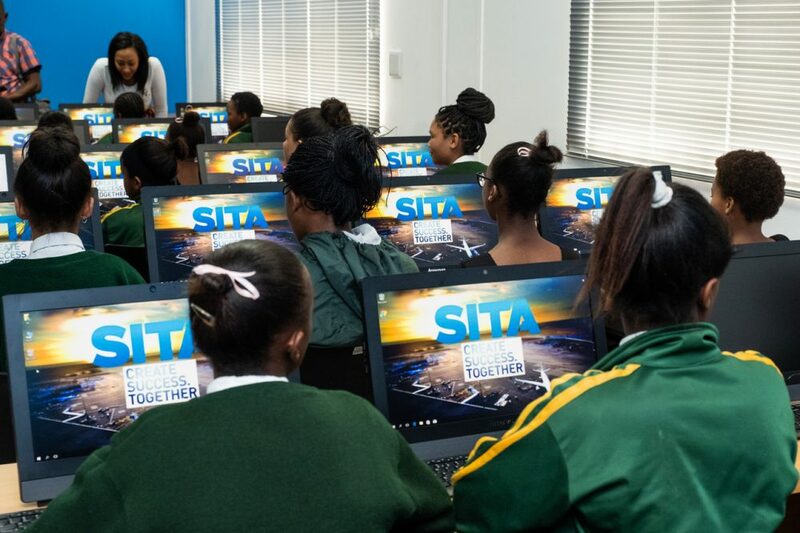 – Khayelitsha, Cape Town – on the 28th of September 2018, the SITA South Africa team joined the learners and teachers at Academia Primary School in Khayelitsha, Cape Town to celebrate the opening of their new SITA ICT Lab. 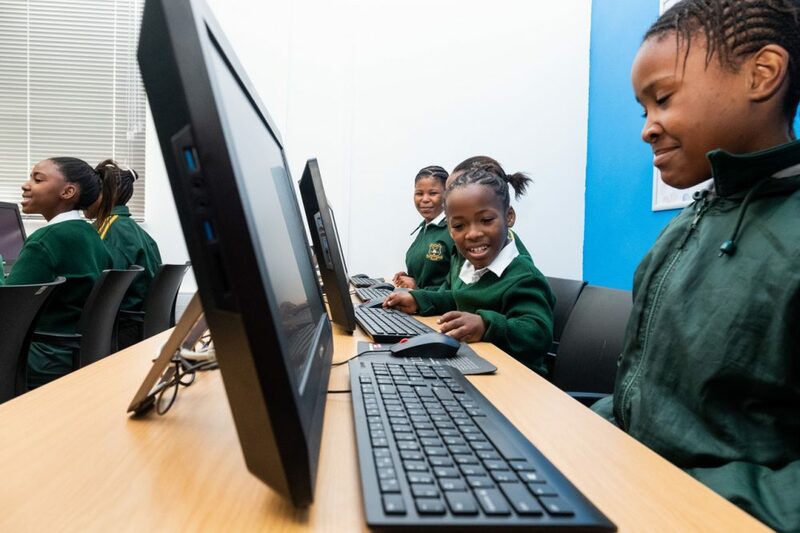 The Academia Primary ICT Lab is the seventh school Lab funded by SITA, the worlds leading air transport IT and communications specialist, and the first time they have invested in an ICT Lab in a primary school and in the Western Cape of South Africa. Khayelitsha is one of the poorest areas of Cape Town with 70% of the residents living in shacks and 40% being under the age of 19. Academia Primary educates 557 primary school children and attains a strong pass rate making it an appealing school within this impoverished community. For this reason SITA chose to build the 7th SITA ICT Lab here with the help of Melisizwe consulting- Computer Lab Project Managers. 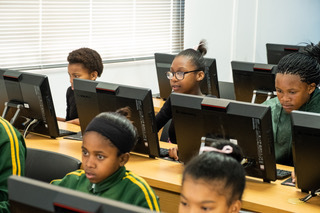 The state of the art ICT Lab with 40 new PC’s, a smart board and academic software was revealed to staff, learners and Cape district of education delegates alongside sponsors SAA and SITA. 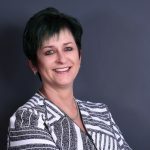 Suren Naidoo, Senior Manager Customer Services at SITA, addressed the gathering highlighting the importance of investing in the education of the youth to provide access to critical IT skills much needed to develop the economy of South Africa. Suren noted he hoped to see some of the learners attending the ceremony working in the aerospace sector one day. 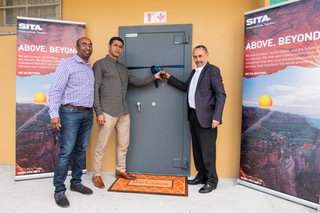 Bruce Croza, head of IT at SAA, a longtime partner and customer of SITA encouraged the learners to bring their passion and innovation to their use of the new ICT Lab as this Lab is only the start of the technological journey for these young children. Tech education will be vital to enabling the kids of Khayelitsha, and their community, to rise above their circumstances and embrace the fourth industrial revolution with confidence. Around the world, nearly every passenger flight relies on SITA technology. Globally, almost every airport and airline does business with us, and it’s our job to support their operations. As the world’s leading air transport IT and communications specialist, we’re committed to meeting the demands of the air transport industry around the clock, every day.